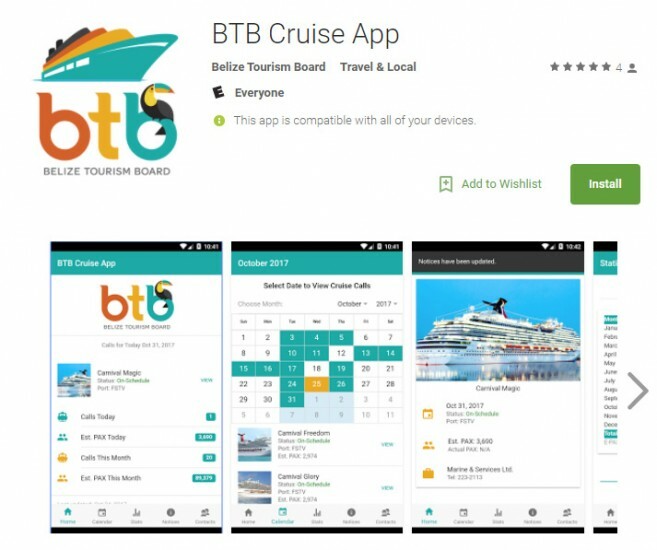 Belize’s cruise tourism operators can now have real-time notifications and access to all the information about their industry: ship calls, passenger arrivals, and all other statistics - past, present and future, at their fingertips with a new, free BTB Cruise App, which they can download to their smartphone or tablet from the Google Play store or Apple store. 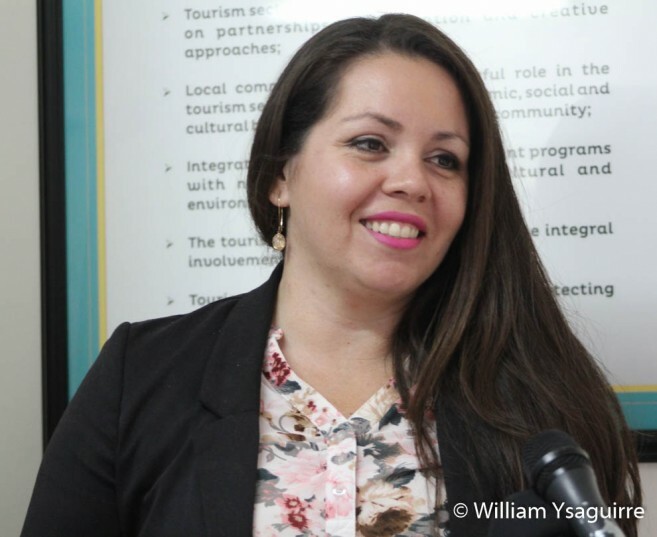 The Belize Tourism Board launched the new app at BTB headquarters in Belize City on Monday, November 27, and BTB’s director of Cruise and Destination Planning Noriko Gamero explained how it works. She said the app was developed with several purposes in mind, but its primary purpose is for the tour guides and operators to have access to the calendar of all ship calls, and they can see right off if a ship is in port or not, at Fort Street Tourism Village in Belize City or Harvest Caye. Additional features are the real-time notifications, to advise operators of the addition of a new ship arrival to a port, or of a cancellation of a ship call. The BTB can also use the app to advise operators of the closure of a specific site, of the closure of a road due to an accident, or any other unforeseen occurrence which may impact the cruise operators in that area. She said the BTB seeks to provide this information to the relevant stakeholders so that they can adjust and make changes as the need may arise. The app will also offer contact information for the BTB and the Ministry of Tourism and Civil Aviation, so that in the event of an emergency, cruise operators may contact police and/or the cruise ship agency, in case they need to notify the cruise ship line. It also provides up to date statistics, with monthly numbers and by year, so operators can see the number of passengers who are expected to arrive, and the BTB will also update this data by inputting the real numbers, as they arrive. The statistics will also give a breakdown by the month and by the port; if an operator is specifically interested in Harvest Caye, or FSTV. The real benefit of the app is less paperwork and real-time access, Gamero explained. She said in the past, any changes to ship schedules would require the printing out of the new schedules for the cruise operators to have updated information, and the BTB has simply implemented the latest technology to do away with all this unnecessary paper trail. Cruise operators have embraced this innovative change, as Gamero said so far, the feedback has been great!